The 5th and 6th Dukes of Devonshire re-planned the town in early 19th century, and a grid layout surrounds the spacious Grattan Square. It lies at the head of fine harbour, and is the capital of the district of The Decies. It was saved from Cromwell’s bombardment in 1649, it is said, by the Protector’s pleasure at seeing a woman affecting to drink his health at the town gate. King John’s Castle, early 13th century, at Davitt’s Quay, is a polygonal keep with twin towered gateway. 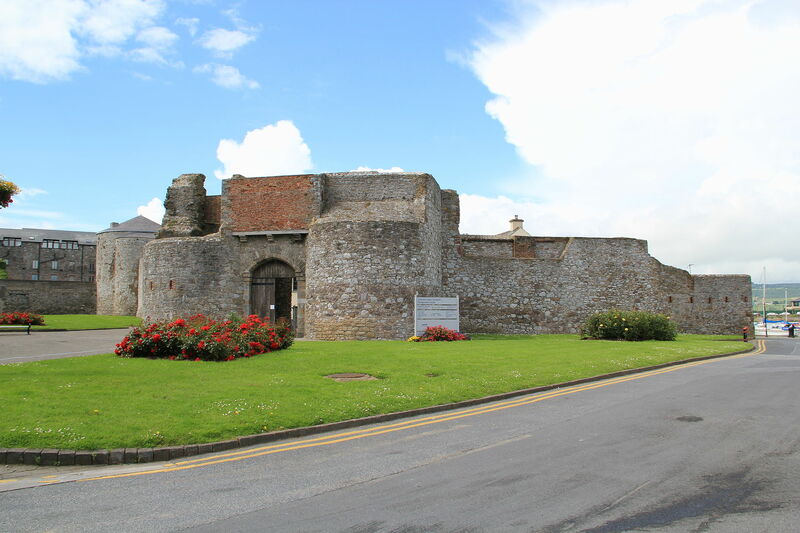 Opposite the castle is St. Garvan’s Church, actually a 16th century merchant’s house. In the grounds of St Mary’s Chruch is the gable of a medieval building with circular windows. Old Market House on Lower Main Street houses a museum of local history. St Mary’s church, by G. R. Pain (1828) altered by George Ashlin (1890) is impressive, with a fine set of stained glass windows, and a pieta under the altar. At Abbeyside, a suburb on the east bank of the Colligan, spanned by a bridge of 1815, are the ruins of the MacGraths’ Castle and an Augustinian friary founded by the same family in the 13th century and now incorporated in the Catholic church. Why not contact us at Ireland & Scotland Luxury Tours and organise your visit to Dungarvan.